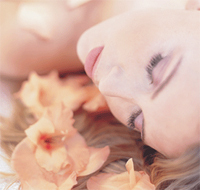 Body Lingo Beauty Therapy and Day Spa Oakleigh has been established since 2001. Our professional and friendly team offer a variety of beauty and relaxation services from your head to toe. Body Lingo's team of professional and friendly staff offer a range of services including relaxing hydro aromatherapy spa capsules, massages, facials, manicures, waxing, IPL permanent hair reduction, capillary or freckle removal, as well as solarium beds. Please click on the below link to see our price menu also the many other services provided at Body Lingo Chadstone.